This Greek quintet from Athens originally formed in 2008. Their sound is an atmospheric blend of Post-Metal/Post-Rock and Sludge with brutally harsh female vocals. 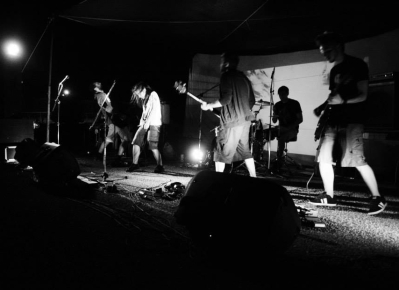 Owing most to Isis, out of the genre forefathers, Allochiria are generally closer in sound to more contemporary melodic Post- acts such as Shunyata and Ortega.